Since solar panels have gained so much popularity and accessibility everywhere, the buyers get really confused about which solar panels to buy. I have been receiving numerous queries from my readers worldwide, asking me which solar panels to buy. I have been writing comparisons between the solar modules and hope it will help my readers. manufacturing facilities, one located in Ningjin, Hebei Province, and the other in Yangzhou, Jiangsu Province. JA Solar sells solar panels as an OEM Solar Panel Producer which means that it sells its solar panels to companies who put their own brand names on solar panels produced by JA Solar. Canadian Solar (CSIQ) is a vertically integrated company, providing ingots, wafers, solar cells, solar modules, solar power systems and specialized solar products. Headquartered in Canada, the company has factories in China and Ontario with wide customer base covering over 50 countries. Canadian Solar also offers customized PV products and OEM service around the world. The company sells panels at quite cheap prices. Canadian Solar modules are both monocrystalline and multicrystalline. The Canadian Solar Modules can be broadly classified into: i) Standard Modules – CS5, CS6, all black CS5A, ii) NewEdge Modules – CS6P-PX and All Black CS5A-MX, iii) e-Modules iv) Quartech Modules – CS6P-P, CS6X-P and iv) BIPV Modules. These modules can be used for both residential and commercial roof-top systems. JA Solar modules come in both monocrystalline and multicrystalline make. JA Solar makes i) SECIUM JAM5 72, ii) SECIUM JAM6 60, iii) SECIUM JAM6 72, iv) JAM(L) 72, v) JAM6 60 under monocrystalline panels and i) MAPLE JAP6 60, ii) MAPLE JAP6 72, iii) JAP6 72 and iv) JAP6 60 under multicrystalline solar panel category. Canadian Solar modules come with the standard 125 x 125 mm and 156 x 156 mm cell arrangement. For JA Solar they are 125×125 mm, 126×126 mm and 156×156 mm. Canadian Solar modules have wattage between 140 W – 300 W. For JA Solar modules the wattage range is 195 W – 320 W.
JA Solar panels have the traditional Aluminium frames. Anodized aluminium alloy frame is used for Canadian Solars’ modules. The BIPV modules of Canadian Solar have no frame. Weight for JA Solar modules is 15kg, 15.5 kg and 18.5 kg. Canadian Solar panels have weight in the range of 15.5 kg – 27 kg. Both come with load resistance of ~5400pa. JA Solar come with a 10-year quality guarantee and 10-25 years power output guarantee. Canadian Solar Panels come with 10 years product warranty (materials and workmanship) and 25 years linear module power output warranty. Canadian Solar panels come with the top ranked PVUSA (PTC) rating in California for higher energy production. JA Solar Modules have IEC, CE and UL certifications. 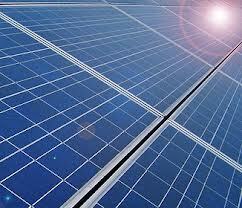 You can read more technical details about the solar modules here: JA Solar and Canadian Solar.